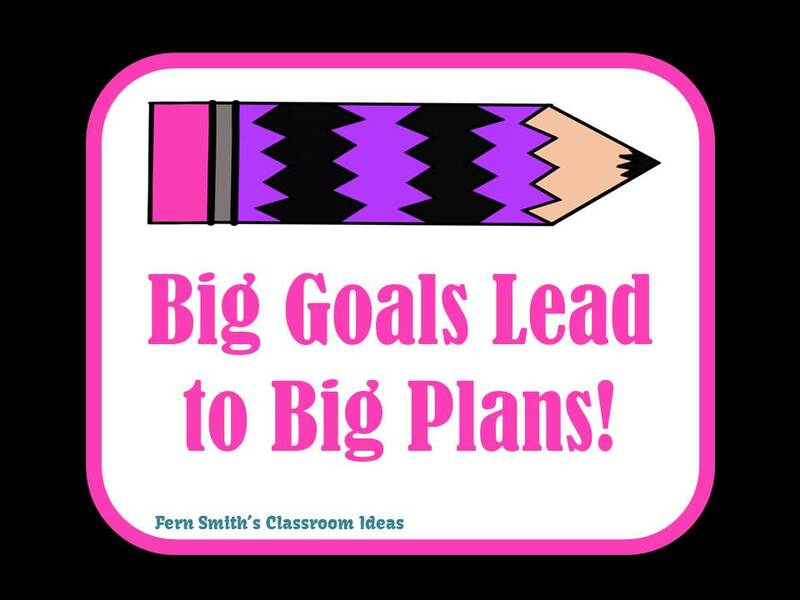 Big Goals Lead to Big Plans By Julia - Fern Smith's Classroom Ideas! A few days ago I was reading some blog posts and I read about reading groups and reading strategies at In 5th Grade with Teacher Julia. I was so impressed by her advice and her details, I asked her to be my guest blogger for you. Once you're done reading about a terrific way to get research going in your classroom, I invite you to head over to her blog to follow her. She's terrific, tell her Fern sent you! When I decided that I wanted to teach my students how to conduct research, I knew that the biggest hurdle would be the organization piece of it all. In theory, it sounded great! Pick a topic, research it, come back to me with a crisp, clean, five-paragraph essay that is organized and demonstrates all of the learning that was accomplished. However, in reality, there is a lot more that goes into a task like this. I was really comfortable teaching how to write a five-paragraph essay, but the more I started to think about this whole idea of a research unit, the more I was recognizing its challenges. I will admit that when this brilliant idea came to me, I felt overwhelmed with the planning part of it all. I could visualize the objective, but the path leading to that was full of all these pieces I wanted to include, but without a clue as to how to put them all together. My goals were to do something that allowed students to learn independently and develop an understanding of how to complete research that would take them beyond my classroom. I really wanted to teach my students a skill they would be using for the rest of their lives! A few years ago, I decided to tackle this challenge; my class was going to complete research and gain understanding for how to learn about a topic independently. 1. What materials will they use? 2. How will they organize their findings? 3.How will they even know what to look for during their research study? 4. I know they need to follow certain steps of research, but what should those steps be? 5. How can I make this into something that students could use throughout the rest of their schooling, not just in my classroom with me? I decided the first thing I was going to do was make this a project where the internet played absolutely no part. How to use the internet correctly and find reliable sources is a whole other animal I did not want to take on. This was going to be old-school. Get books from the library and read to learn. I wanted my students to appreciate books as a resource to gather information rather than a place to go for just for entertainment. 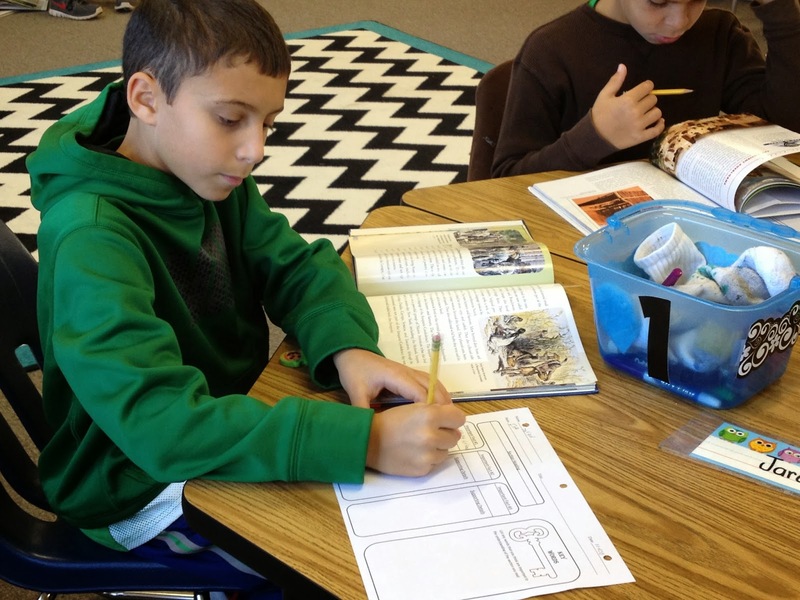 I begin each research unit with the Readers’ Workshop Nonfiction study unit that I created which teaches students how to read nonfiction as a way of gathering information. By learning the strategies for reading nonfiction, it makes navigating the text during writing the research essay much easier. This Readers’ Workshop Nonfiction Unit is available in my store with either a scripted text (you will need two specific books that are found in most public libraries for this version) or a non-scripted version that gives step-by-step instructions for each lesson. Both are written according to the Common Core State Standards and are aligned to each lesson making it easier for you to just copy right into your plan book! 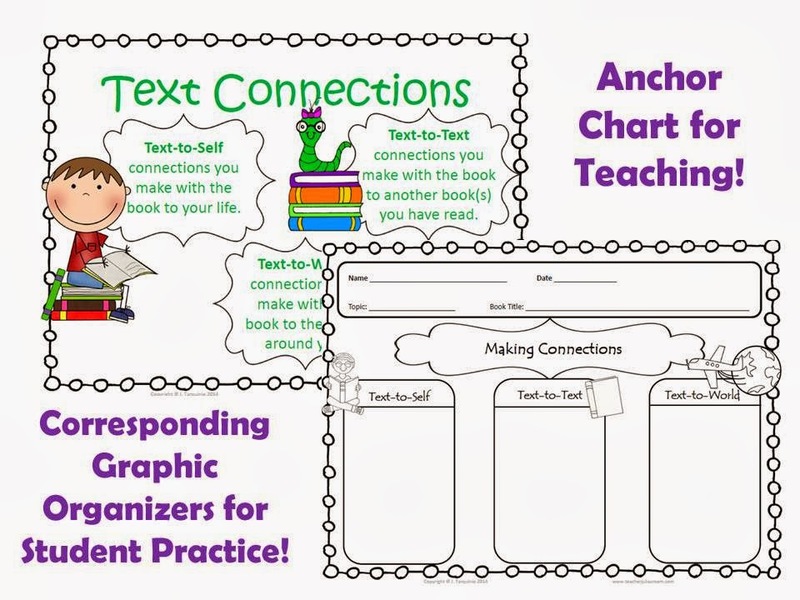 Each unit also includes all of the materials you need from anchor charts to graphic organizers. You can literally print and then teach this unit, allowing you to focus on other teacher tasks that you need to complete! Reading Lesson Objectives, Steps, Materials List & Conferencing Tips! Click here to purchase the Reading Nonfiction Unit! 20 detailed lessons including suggested scripts, materials list (materials included), and conferencing tips! An example of "Teacher Writing" to use during your lessons! There is an example of "Teacher Writing" for EACH of the lessons in this research unit! The Steps for Research: A significant part of this unit is teaching the steps to completing research. I teach the steps as a way of relating them to the Writing Process which is familiar to most students. I realized that no matter what grade my students are in, they can follow these steps and complete research on their own! This Writing a Research Essay Unit is available in my Teacher Store and comes complete with scripted texts, materials to put together a research folder for each student, over 20 anchor charts, writing graphic organizers, and conferencing tips for when you meet with students one-on-one to discuss their writing. This unit also includes Teacher Writing Examples and a full essay for you to use during the modeling portion of each lesson. There are examples to use throughout the entire unit from brainstorming to publishing. There is also a tracking sheet to record student progress. 1. What is a thesis statement? How do I write one? 2. How to use a dictionary for spelling errors. 3. How to write a basic bibliography. 4. How to use commas in a list. 5. How to restate the thesis statement and supporting details in a different way (partner activity). 6. How to write an attention grabber or a “hook” for the introduction paragraph. 7. How to use and add transition words. 8. How to “show, not tell” a fact. During this unit, it is amazing to witness the kind of learning that goes on when students are engaged and excited about doing research! 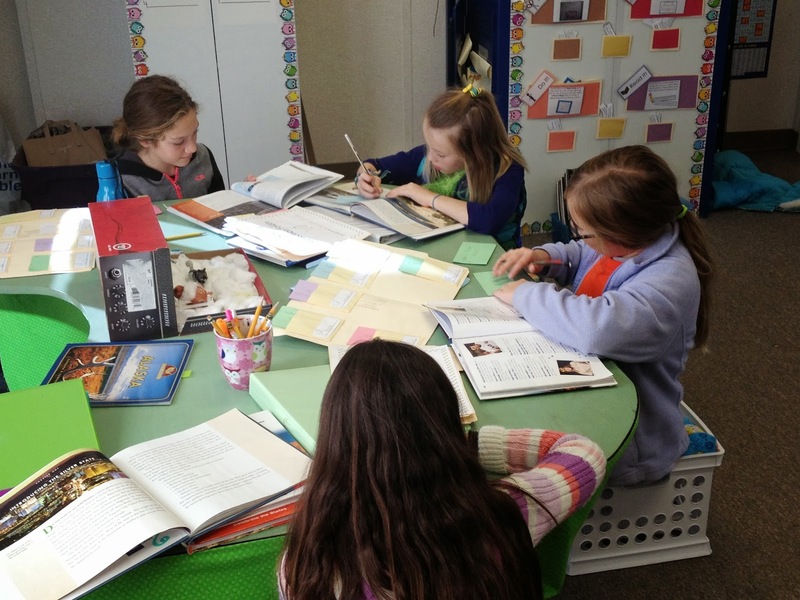 Students are able to really delve into their topic and organization is not even an issue! We created research folders to organize their questions and answers in, and this made it so much easier for students to visualize how their essay would come together. This research folder made it possible for students to evaluate their ideas and decide which ideas to elaborate on and which they would abandon. It also helped guide their reading in a meaningful way. This process for research proved to be successful in both my third grade classrooms and my fifth grade classrooms. 1. The students and I studied the same topic. 2. I set up the research folders for the students, and provided the questions. 3. I also provided all of the books I wanted them to use during this project. This is a unit that can be adapted to guide students according to their needs. I was extremely impressed by my third graders who all handed me a five-paragraph research essay that was organized, packed with information, and contained all of the elements of a well thought-out piece of writing. I was equally impressed with my fifth graders who did the same, but mostly on their own! I look forward to teaching this unit every school year! It works very well with an integrated curriculum because you can pick a broad topic of research that relates to the social studies and/or science curriculum. This past school year, I had my fifth graders research a U.S. state while I modeled with Alaska. In Social Studies I taught about Alaskan culture and in Science I taught about Alaskan geography and the Scientific Method. Students ended the unit by presenting their science experiments which related to their state of study as well as the research paper for visitors to read through to learn more about the state! This unit is by far my favorite part of every school year! Is this something you would like to try? Visit my Teachers Pay Teachers store by clicking on the link to check out more of my products! 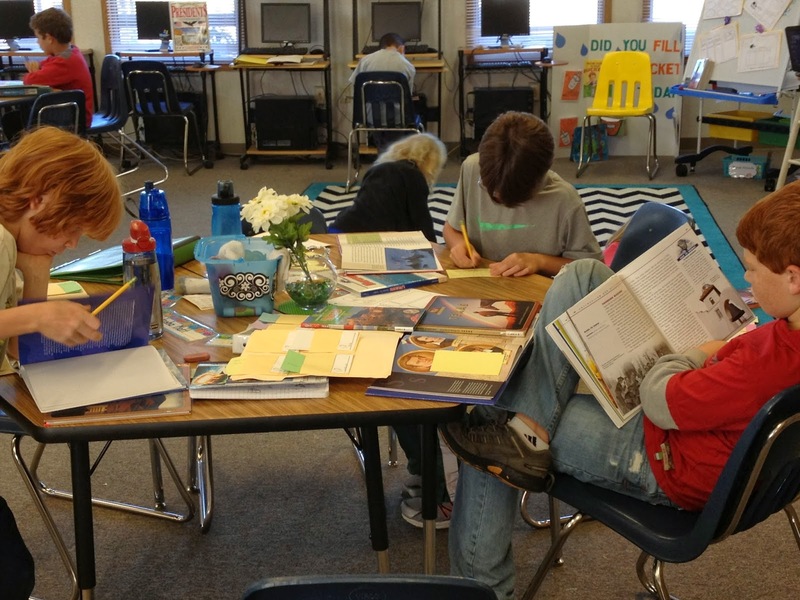 What a great way to teach students to read nonfiction and write a research essay!